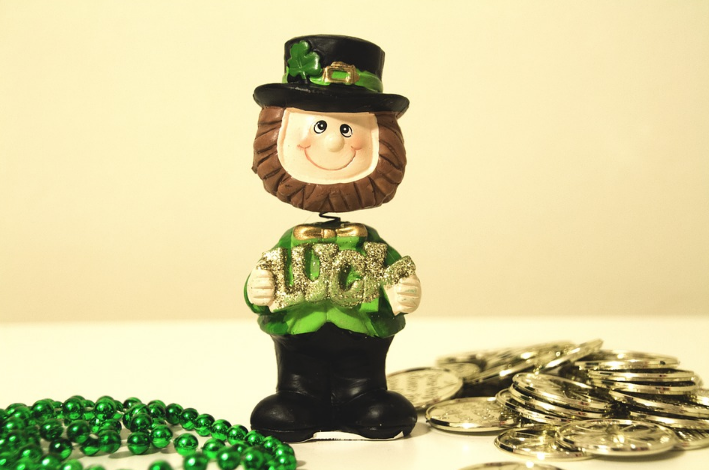 The St. Patrick’s Day holiday is just around the corner! Celebrate the fun holiday with your child with an adorable St. Patrick’s Day first book for baby and toddlers. Read together with your older children. Discover a mystical world of magic, leprechauns, and timeless tales. Your littlest one will enjoy reading about rainbows, pots of gold, and mischievous leprechauns. An adorable first book for baby is The Littlest Leprechaun by Justine Fontes and Amanda Haley. Other adorable books include Lucky Leprechaun, The Story of Saint Patrick’s Day, and St. Patrick’s Day Countdown. The fun squishy book Big Pot of Gold is a bath-friendly Irish tale. Tales from Old Ireland by Malachy Doyle is a collection of favorite Irish folk tales. The tales are told by Grammy-nominated singer Maura O’Connell. Stories like the bewitchment of the Children of Lir are brought to life with captivating language. Preschoolers love There Once Was a Man Named Michael Finnegan by Mary Ann Hoberman and Nadine Bernard Westcott, inspired by the song of the same name. Both O’Sullivan Stew by Hudson Talbott and That’s What Leprechauns Do by Emily Arnold McCully and Eve Bunting are delightful books to read aloud. Another fun St. Patrick’s Day book is Jamie O’Rourke and the Big Potato by Tomie DePaula which tells the tale of a man who grows a giant potato in hopes of finding leprechaun gold. Make wonderful memories with your little one. Ten Lucky Leprechauns by Kathryn Heling and Debrah Hembrook helps your little one practice counting to ten with colorful illustrations and easy rhymes. What is St. Patrick’s Day? By Elaine Landau gives a child-friendly history of St. Patrick’s Day traditions and history. Enjoy these books this March with your child.